A lot has happened up at the Ohio Statehouse in recent weeks. In early June, I was elected by my peers to serve as the 103rd Speaker of the Ohio House, and I hope to be able to represent you and the rest of the 93rd District even better in my new role. Along with this honor comes great responsibility, and we’ve been incredibly busy over the past weeks to pass vital legislation that will impact Ohioans across the state. It’s because of all of this work that the Fourth of July holiday was especially welcome this year. My job not only commits me to busy days in Columbus, but it’s also important to remain present in the community to hear your ideas and concerns, especially during a holiday that brings us all together as Americans. With so many different events going on throughout the district, I hope you were able to take advantage of the clear, hot weather and celebrate Independence Day with friends and family. Whether that was by spending the day at the pool or watching your local parade, there was something for everyone this year. With cookouts and carnivals in abundance, I’m proud of our communities for maintaining the true reason for the holiday, our freedom as citizens of an independent nation. This year was the 242nd anniversary since the United States declared independence from the British rule, and the beliefs that inspired the American Revolution still run in each of our veins today. We are a fierce, strong people who continue to uphold principles of freedom of speech and religion, personal responsibility, equality, and democracy. It is perhaps more important than ever that we each are able to speak our minds and vote with our conscience without fear of retribution. It is this guiding value that has ensured the success of the United States and why we remain a beacon of innovation, liberty, and individuality to much of the rest of the world. Our founding fathers wanted to live in a country that was governed by the people, for the people, and I believe that America still abides by that sentiment. It is with many of these thoughts in mind that I take on the role of Speaker, and I’m looking forward to working alongside my fellow members in this new capacity, along with the continued goal of serving the great people of the 93rd House District. 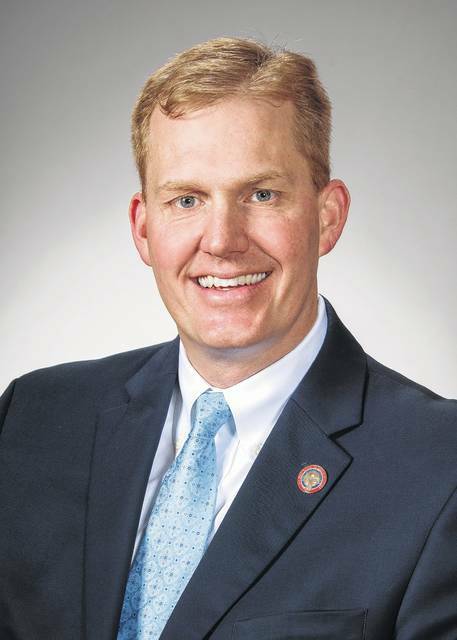 Ryan Smith (R-Bidwell) is currently the Speaker in the Ohio House of Representatives. Smith represents the 93rd District which includes Gallia County.